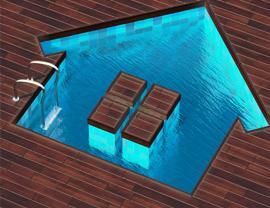 Our teachers are all professionally trained, with years of swimming and teaching. 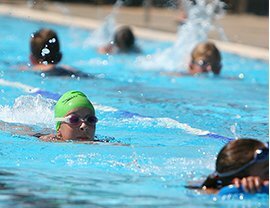 One thing that we all agree on, is that 1-2-1 lessons improve a child’s swimming faster than large group lessons. 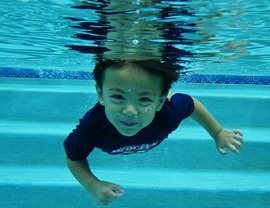 With 1-2-1 lessons, we can treat you & your child as an individual & tailor our offer to support them in the water. PARENT AND BABY GROUP CLASSES 11am-12pm 9.50 30 min. CHILD - ONE-TO-ONE 7am-12pm 31 30 min. ADULT - ONE-TO-ONE 7am-12pm 38.50 30 min. CHILD - TWO-TO-ONE 7am-12pm 38 30 min. ADULT - TWO-TO-ONE 7am-12pm 48.75 30 min. ADULT ONE-TO-ONE 8:30pm-9:30pm 38.50 30 min. ADULT TWO-TO-ONE 8:30pm-9:30pm 48.75 30 min. CHILD - ONE-TO-ONE 11am-7pm 31 30 min. ADULT - ONE-TO-ONE 11am-7pm 38.50 30 min. CHILD - TWO-TO-ONE 11am-7pm 38 30 min. ADULT - TWO-TO-ONE 11am-7pm 48.75 30 min. CHILD - ONE-TO-ONE 11am-3pm 31 30 min. ADULT - ONE-TO-ONE 11am-3pm 38.50 30 min.